True to the motto “Think Global – Act Local”, AMBERO’s head office celebrated its 15th anniversary in November with charity work in the environmental and social sector in its hometown Kronberg i. Ts. 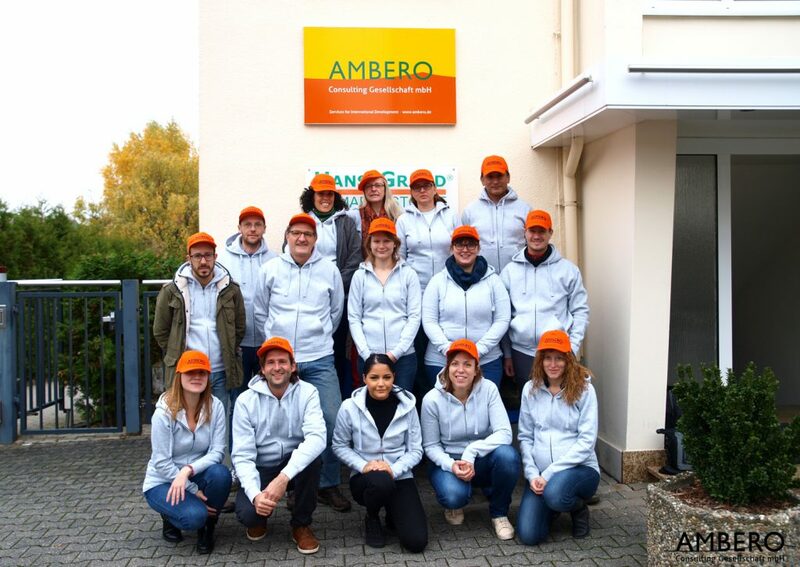 On a sunny Monday morning, the AMBERO colleagues abandoned their offices to take part in different activities in Kronberg. 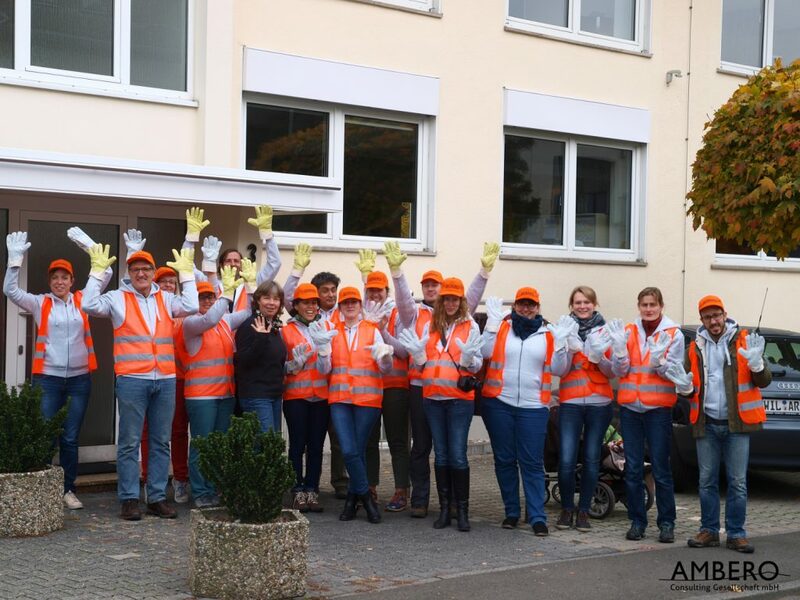 Some went to the nursery school Anderland in Oberhöchstadt in order to renovate one of the playrooms and a mezzanine. 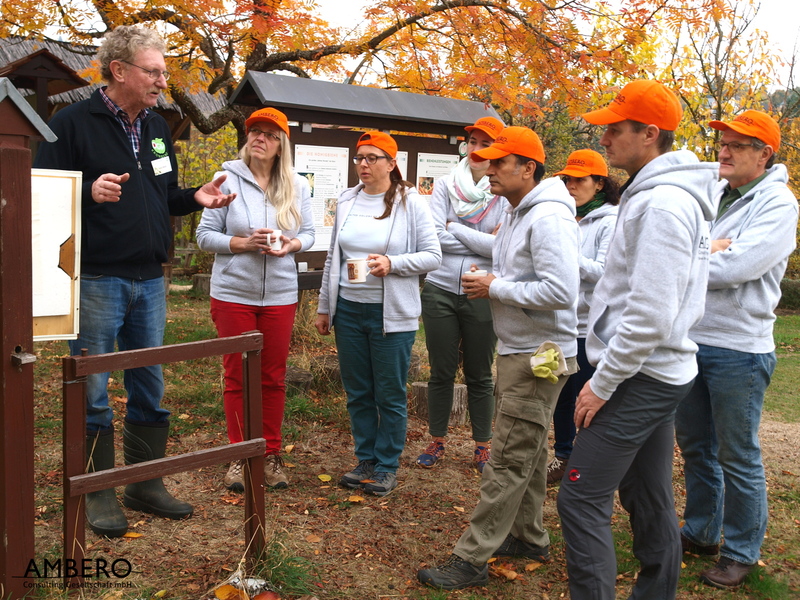 At the same time, the other group focused on the preservation of the cultural landscape and the diversity of species. 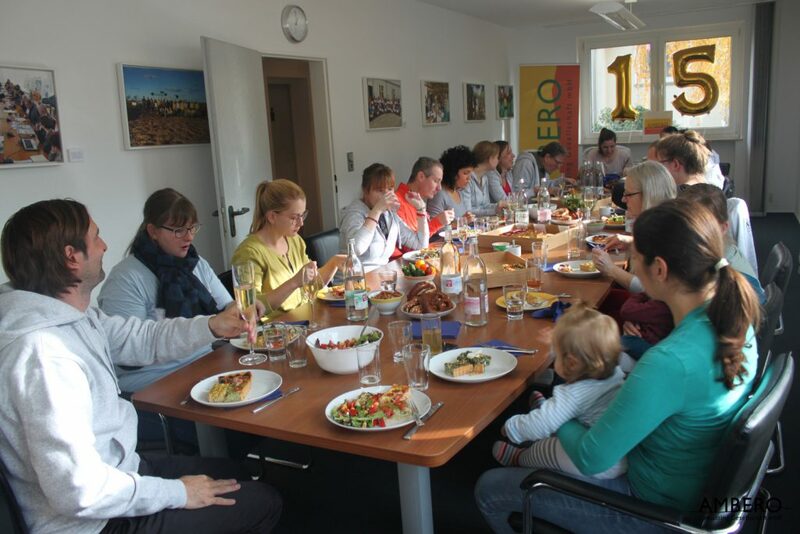 Together with 11 children from the day care center Anderland, they went to Kronthal Park (Kronberg) and an orchard. 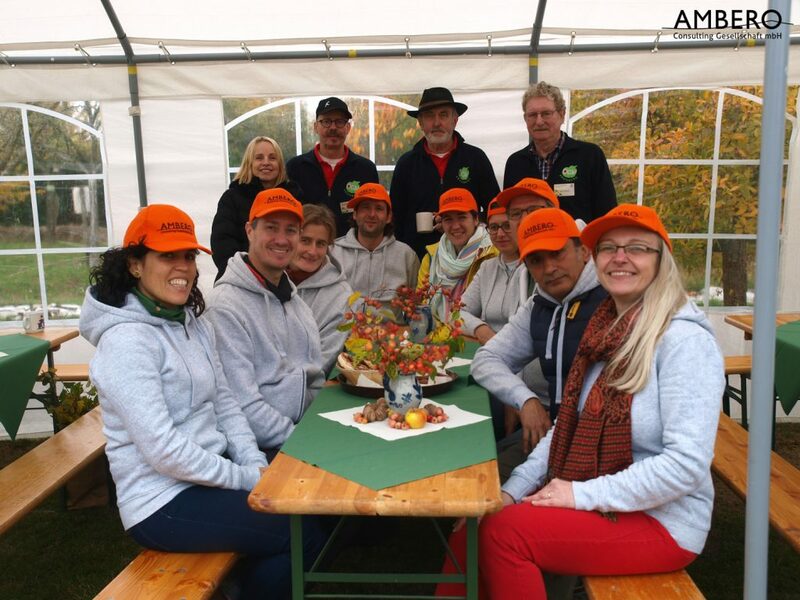 This was organized in partnership with the fruit and horticulture association OGV Kronberg. 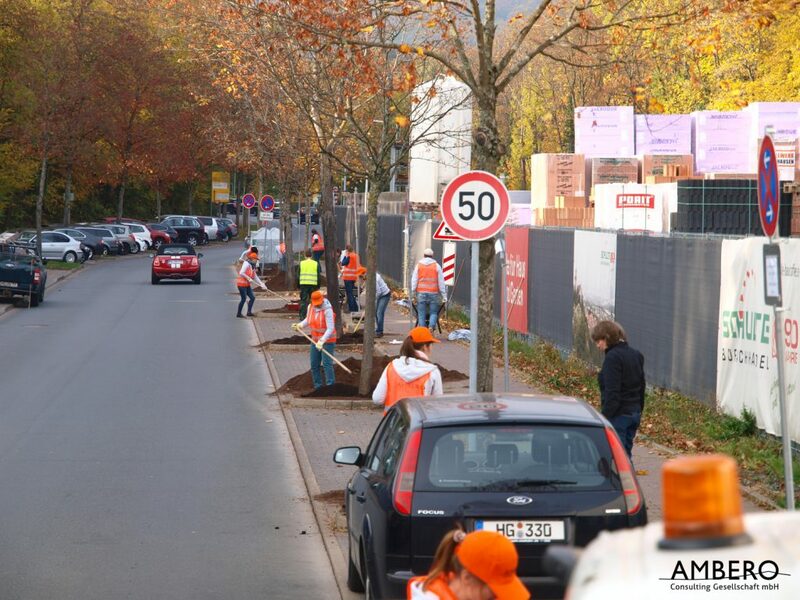 The main task was to install 30 information signs that AMBERO has donated to the OGV Kronberg. 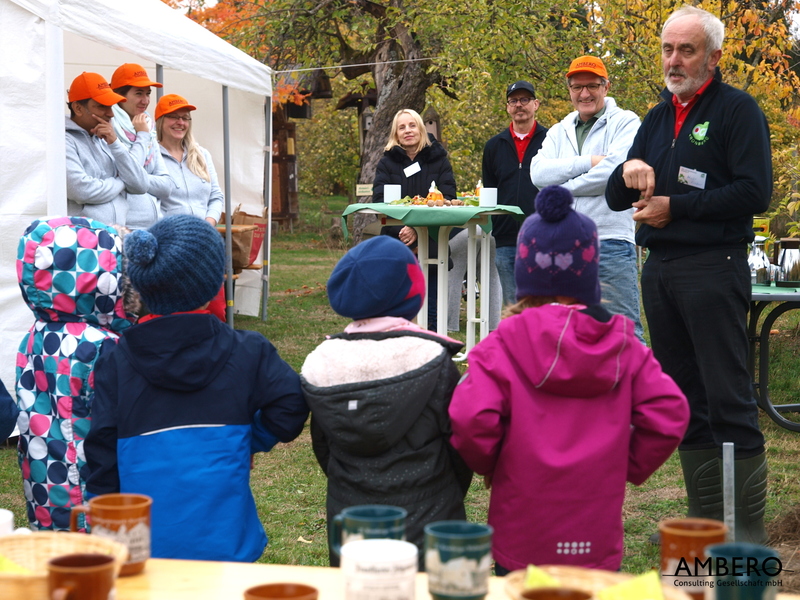 The sings display the Appletree variety that grow on the orchard. 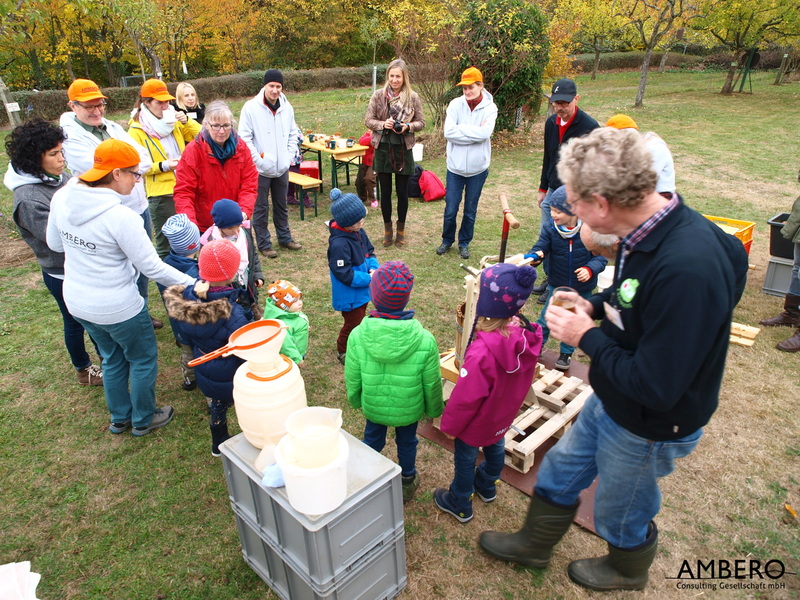 The OGV also lead the team and the children through it’s educational trail and pressed fresh apple juice with them. 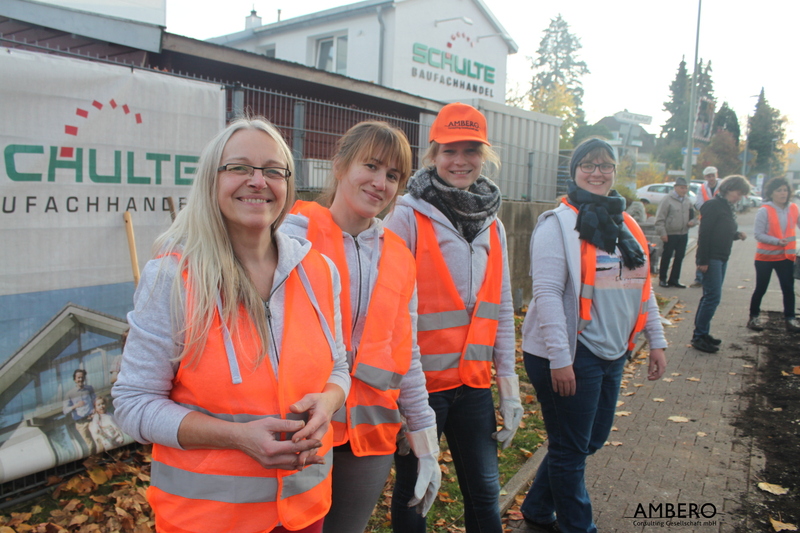 In the afternoon, all the employees planted tree discs with perennials and native wild plants, that AMBERO donated, with the support of the Environmental Office in Kronberg. 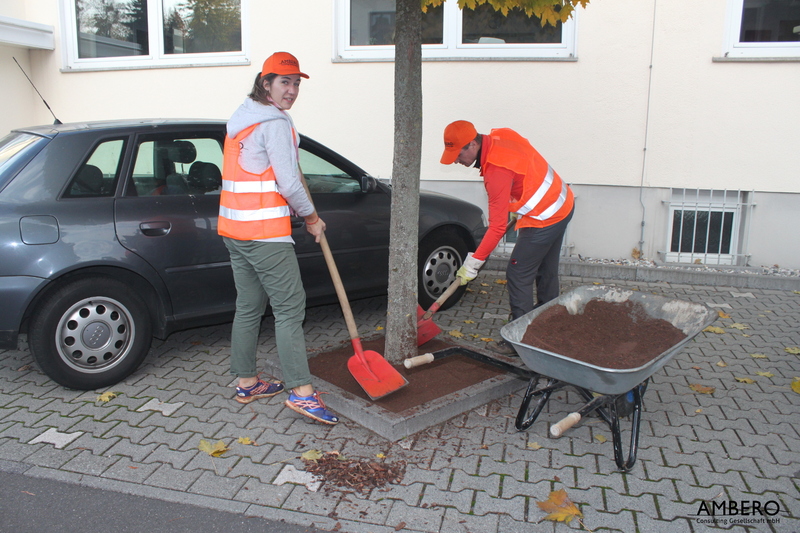 The aim is to support and promote the local biodiversity. 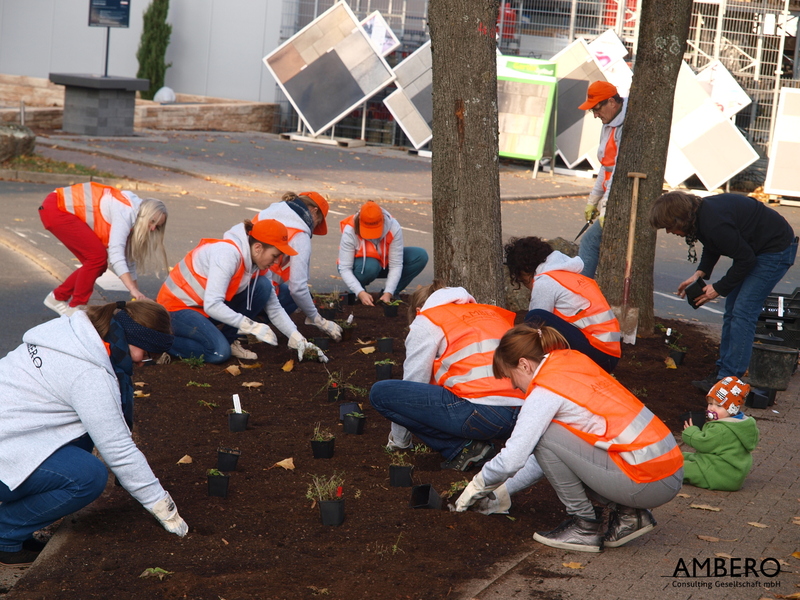 Crocuses were also planted, which can already be admired in a few months in the Jacques-Reiss-Straße (close to AMBERO’s head office). 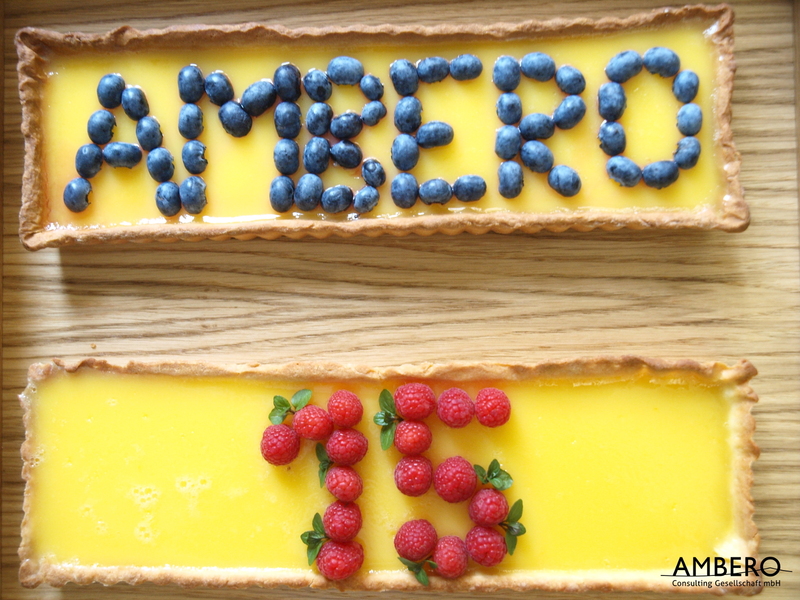 The AMBERO employees in the projects abroad also celebrated the anniversary. The team from the project “Economic Integration of Internally Displaced Persons and Host Communities in Norte de Santander” (Colombia) organized a rally with the local population. The team from the project “Territorial Approach to Climate Change Adaptation in Northeast Kenya” released two documentaries together with local partners and international clients. 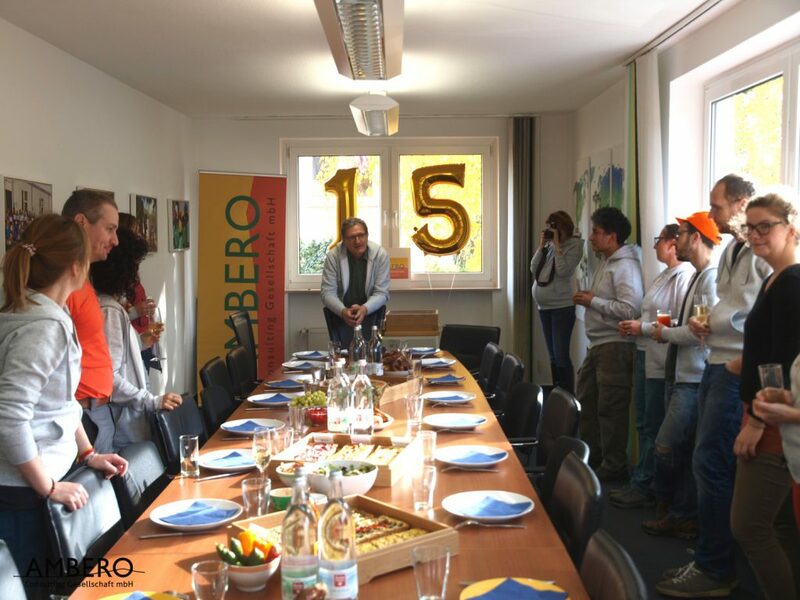 From Serbia to Peru there are a total of 16 projects in 13 different countries that will celebrate the 15th anniversary of AMBERO Consulting in November.